This year marks the 25th anniversary of our Top 100 list, where Wine Spectator’s editors select and highlight the most exciting wines from the thousands we reviewed during the course of the year. As always, we select the Top 100 based on quality (represented by score), value (reflected by release price), availability (based on the number of cases either made or imported into the United States) and an “X-factor” we call excitement. However, this year, we have given more emphasis than ever before to the X-factor—the intensity of interest the wines excited by way of their singularity or authenticity. These 100 selections include more bottlings off the beaten path and represent the producers and wines our editors were particularly passionate about in 2013. Overall, the average score of the wines in this year’s Top 100 is 93 points and the average price $51—an impressive quality/price ratio. It’s human nature to make lists, to rank our experiences by their value and interest. 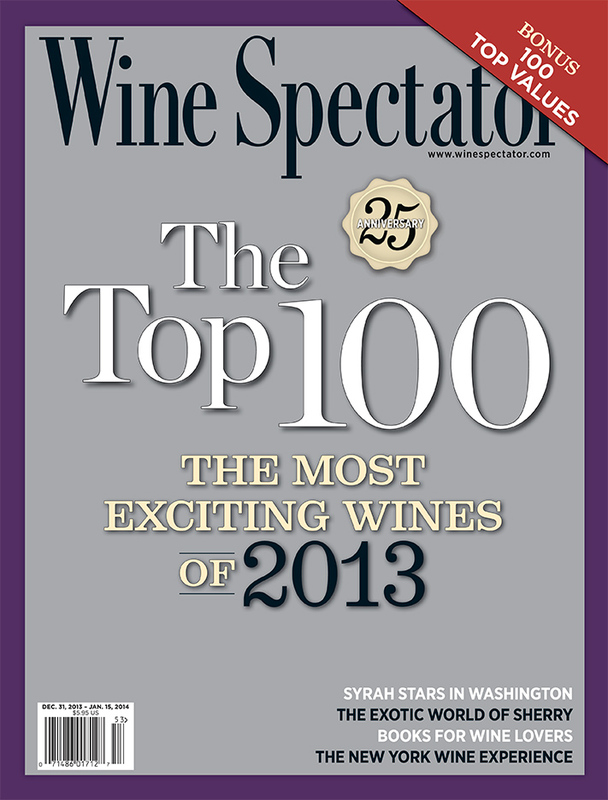 We hope you’ll take pleasure in reviewing our choices of the great values, emerging new wines and proven names that make up Wine Spectator’s Top 100 of 2013. Use it as a guide to the wineries, grapes and regions that should be on your radar in the coming months and years.